Okay, I have a problem. I've totally gotten into Instagram over the past few months and I just can't stop scrolling. I got my very first iPhone last year, and for the first 6months or so, I kept forgetting Instagram existed... but over the past few months i've become obsessed. 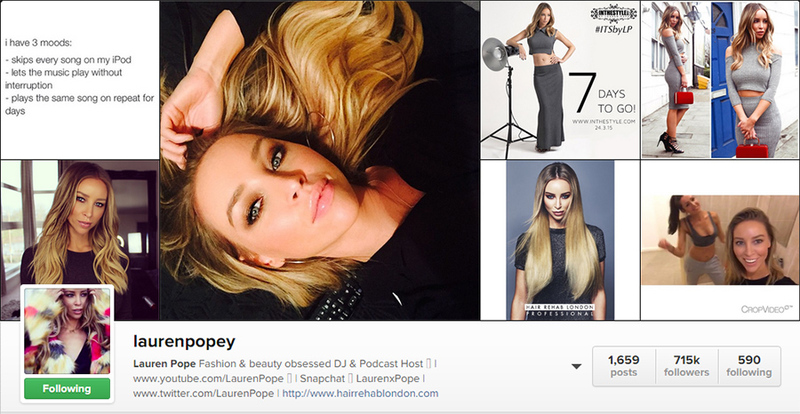 I wanted to share the love, and today I'm bringing you my Top 5 people to follow on Instagram this month! Lauren has the most beautiful hair, and impeccable fashion sense. I love her soft sultry beachy waves and her stylish fashion sense. Lauren knows how to dress for her figure, and her outfits are always bang on trend! She also has her own clothing range ITSbyLP and her new collection is so perfect for spring/summer! 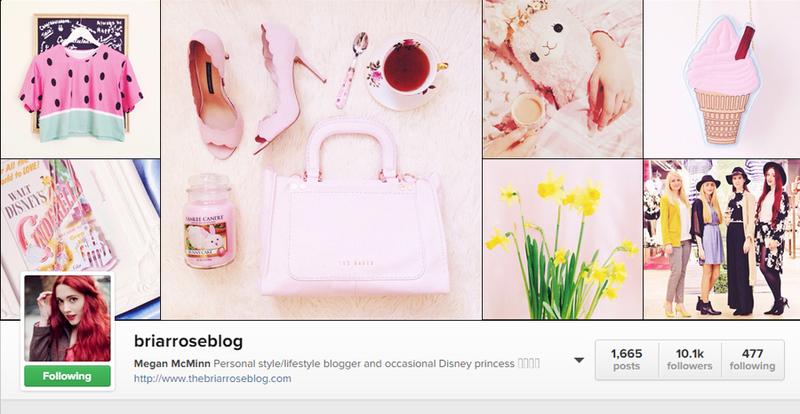 If soft pastels and all things disney are your thing, then get ready to fall in love with Megan's instagram feed. Megan has one of the most beautiful instagram feeds i've ever laid my eyes on and her photography is just so breathtaking. I can find myself scrolling through her images for days. 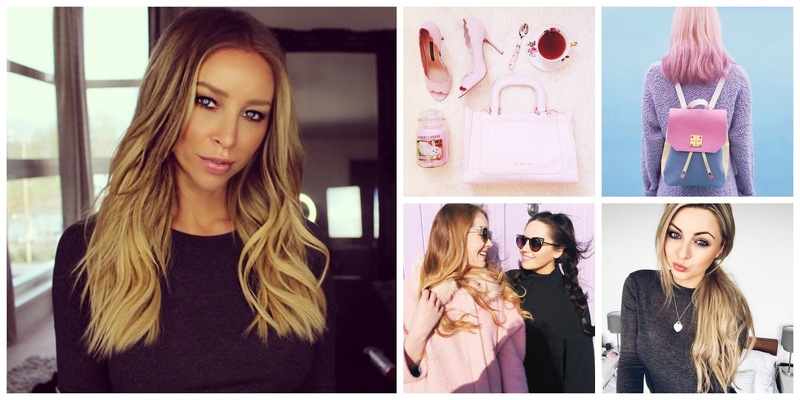 Leanne has a stunning instagram feed that's packed full of stylish fashions and must have accessories. A beautiful pastel pink head of hair and make up skills to boot. Leane has a fab feed and is certainly one worth following. Gabby has an ever evolving theme on her instagram. 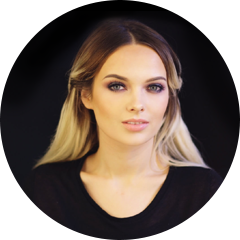 If you're a fan of her youtube channels then you'll enjoy her instagram. I love seeing her images pop up on my feed as I can guarantee they'll be beautiful shot, edited and selected. Kayleigh's feed is so clean, modern and fresh. Everything is so clean and sleek. I love her feed for beauty and fashion inspiration as well as photography inspo. Another must follow. So that's it for my Top 5 Instagram feeds.Do you follow any of them? 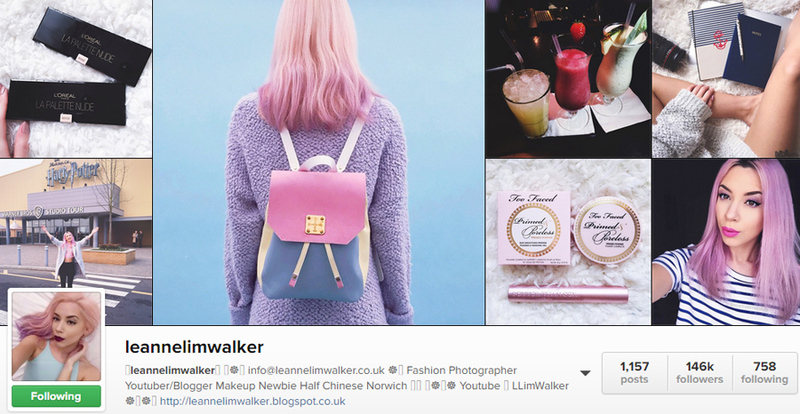 I'd love to hear who your favourite instagrammers are! Let me know in the comments. A few of my favourites are on here. 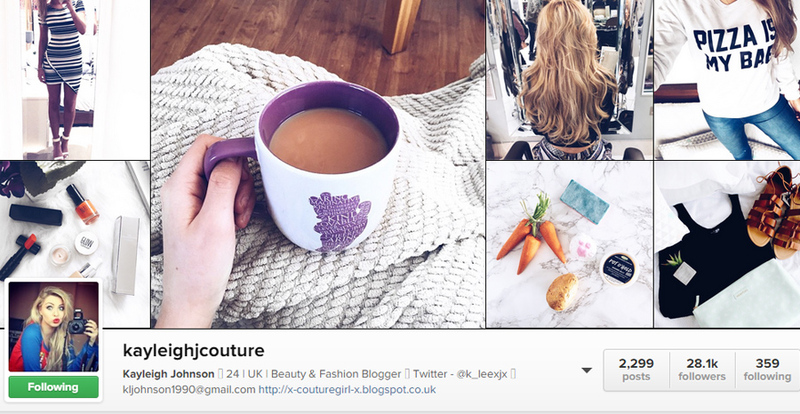 I literally spend so many hours scrolling through Instagram, it can get a bit addictive! I've been loving instagram too but it makes me want to buy so many things :L! I have had acne my whole life and for a while some products worked but after I had my son, my hormones went crazy! I know how bad it can get - I found something that finally worked. This is not an endorsement or advertising, I genuinely found a good product and thought you might/might not have tried it but if you haven't it's worth a shot. It's called The Regimen, you can go to acne.org and read more about it. I hope it helps. Even though you are beautiful regardless. Keep up the awesome makeup work! 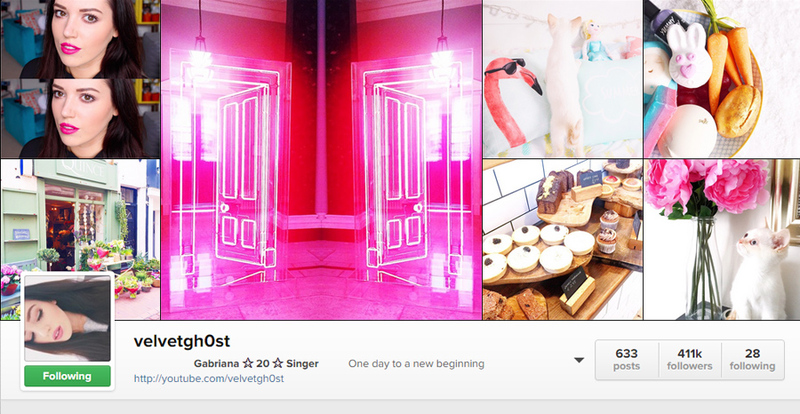 I dont follow any of them but theres so many IGers that Im obsessed with! I follow Megan's instagram - her posts are always so well thought out and really pretty! Love inspiring instagram feeds! I admire your brave and your courage.nobody have to blame you, you haven't done nothing wrong. When i was 16 years old I had acne too, I wish you can feeel better . They're all good profiles!! I love fresh and clean things too. I need either home remedies or cheap things from the store that cost under 10 dollars, that are guaranteed to give you quick resluts. (a week or less.) I DO NOT HAVE ACNE,only scars,so, DONT GIVE ME ANY ACNE REMEDIES!!! Thanks for the information. Hope devotes will be careful after reading this post. That all Guys .... Have a nice day ! Three years on Final Touch Brows is presently the universes biggest scope of temples items, accessible in more than 150 salons crosswise over Australia and NZ and also salons in the Middle East. Not just has Danielle Kurukchi made a line of temples items to upgrade anybody's foreheads however is eminent for making Australia's initial 100% human hair, high quality Eyebrow Powder for men and ladies who have shockingly lost their temples because of ailment and medicinal treatment. The New York Times, Elle.com, Cosmopolitan.com, Sunday STYLE, Primped.com.au and a large group of other neighborhood print and online distributions highlighted Final Touch Brows items and were recorded as leading one of Australia's most inventive items. Fashion and latest trends makes us to look beautiful. we provide categorical compare prices. Keep up continue sharing such post with us . You've got to earn some points in exchange with some followers which eats a great deal of time. instaexpansion.com has more information on the Insta Expansion - Instagram Growth Made Easy. If your site isn't helping you bring in business on a normal basis, you might be making at least one of these seven surprisingly common website mistakes. Get more details on evoig. Now if you'd like to understand how to purchase yahoo account then don't worry it's quite straightforward. If you are more curious about accounts daddy then you can learn more on www.accountsdaddy.com.